Learning to play the guitar is a lot fun. 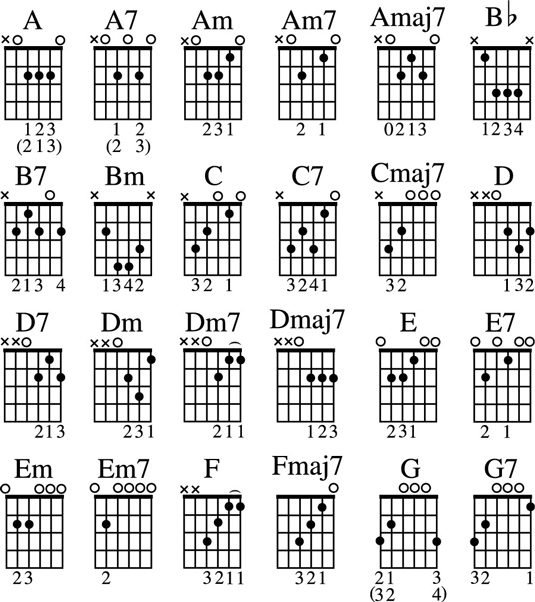 Use this cheat sheet to help you get started with your guitar finger placement and guitar chords. 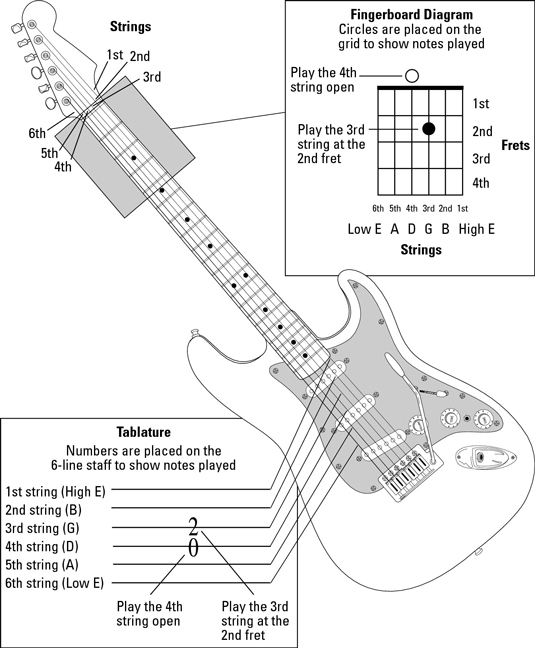 If you need help with finger placement on your guitar, use tablature (tab) and fingerboard diagrams. Practice playing the most common open-position chords on your guitar to get that “jangly” sound, and make sure you know the notes on the neck of your guitar to change starting notes in scales, chords, and arpeggios. This figure of the nine-fret guitar neck has the notes in letter names for all six strings’ frets up to and including the 9th fret. Use this diagram to help you move any scale, arpeggio, or chord to a different starting note.